Governor Jeb Bush and state Rep. Joe Negron, along with Negron's wife Rebecca, left, talk with the media following a dedication celebration at the Port Salerno Civic Center for a proposed $15 million senior center that Negron played a key role in. 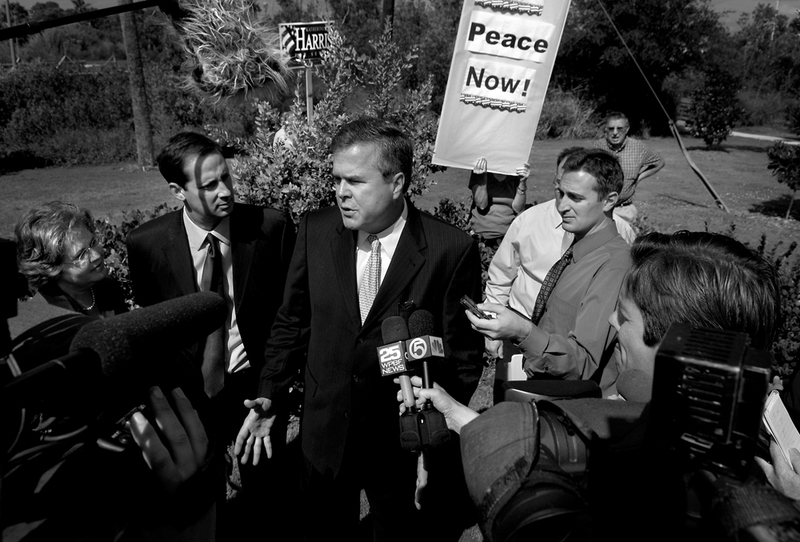 Following this event, Negron and Bush sped away to stay true to their tight schedule which included a fundraiser in Stuart and a quick flight to Charlotte County for more campaigning. At this event and other campaign stops along the way, Negron has been met and confronted by Democratic protestors.